( 3 Fin Set ) Thruster: High rake and lots of area throughout, this template favors power surfers and performs well in solid sized conditions. All 3 fins are the same size and originate from the glass-on fins which True Ames used to produce for nearly all of the Channel Islands boards back in the 80’s an early 90’s. 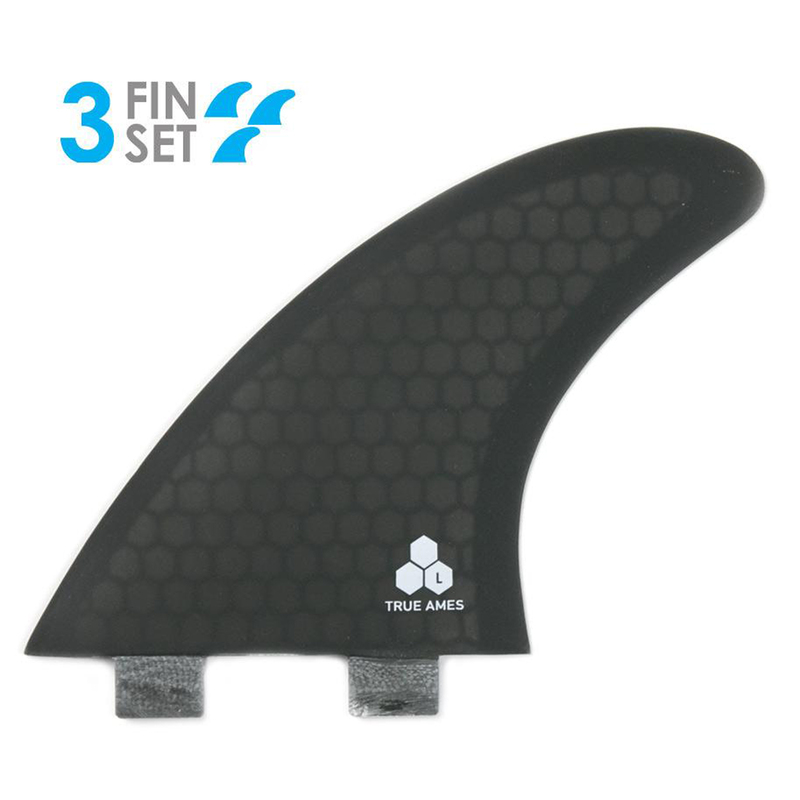 Needless to say, these fins are tried and true and are still one of our prized classic and timeless designs.